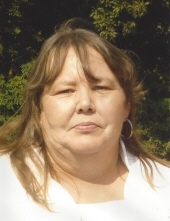 Margaret Helen Allen, 61, of Radcliff passed away Saturday, September 8, 2018, in Bardstown. She was a former cook for the Holiday Inn – North in Elizabethtown. She was preceded in death by her husband, Michael Ellis Allen and her parents, Bill Phillips and Beatrice Carey Goodman. Survivors include her four daughters, Stacy Smith (Doug), Amanda Daugherty, Michelle Goodman and Maranda Snellen (David); three sisters, Judy Frederick, Joyce Edlin and Barbara Sweet; 8 grandchildren, Alyssa, Jonathon and Kaelynn Snellen, Britnie Daugherty, Joseph and Jenna Harris and Sophia and Mitchell Smith and two great grandchildren, Briar and Trey. Funeral services will be conducted 11AM Tuesday, September 11, 2018, at Dixon-Atwood & Trowbridge Funeral Home with burial to follow in the Elizabethtown City Cemetery. Visitation will be from 4-8PM Monday, September 10, 2018, and after 9AM Tuesday at the funeral home. To plant a tree in memory of Margaret Helen Allen, please visit our Tribute Store. "Email Address" would like to share the life celebration of Margaret Helen Allen. Click on the "link" to go to share a favorite memory or leave a condolence message for the family.